When you picture taking your winter holidays in Mexico (or any other holiday for that matter!) you may imagine yourself lounging lazily on a warm beach somewhere and drinking a very fruity drink with a little umbrella in it. While it's typical and absolutely wonderful the first day or so.. there's only so much lying around you can do. You may want to consider something a little different this time around. Guadalajara, Mexico offers a wonderful cultural experience, fun and unique attractions including UNESCO World Heritage Site: Cabañas Cultural Institute , as well as a warm and oh so inviting weather all wrapped up in a big, bustling city! 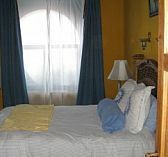 And.. if you still want the beach then Puerto Vallarta is only a few hours a way by bus or car. Perfect for a little weekend trip. So there you go. What are you waiting for? Holidays in Mexico are sounding pretty good now huh? So, if you're tired of freezing weather and walking outside all bundled up as big as a snowman then why not spend your winter in Mexico? Speaking of which you may want to check out my Mexican holidays page to plan your trips around your very favorites! If you're really thinking hard about escaping from horrible cold weather, snow storms, cloudy skies or just mundane everyday life then Guadalajara may be just what the doctor ordered. I remember my first trip to Guadalajara.. It was winter time and freezing cold here in Texas, mainly because yet another, cold front had blown in. I was absolutely miserable sitting in my chair, my flight to Guadalajara was delayed 2 whole hours. Can you imagine that? Needless to say.. I was not a happy camper while sulking in my seat. So there I was; waiting at the airport, as airline employees kept opening and closing the outer door for no apparent reason but to torment me and turn me into a human popsicle. With each breach of that door, the large terminal seemed to grow colder and colder. And of course, my mood grew fouler and I fell deeper and deeper into the dark and lonely abyss that we like to call.. winter. I was ready for the Mexican heat and my sun hat! You probably are too. Needless to say.. when you're coming from a bitter winter climate and your plane lands in the Guadalajara airport and you first step out of the plane you'll be shedding all those winter jackets because you won't need them for your Mexican holiday. There's nothing like getting your tan on while your family and friends are back home worrying about snow tires, slippery roads and wondering if the pipes might freeze. So when you spend your winter holidays in Mexico (even if it's only for a week) you'll want to do it year after year. There's just something in the air.. the warm breeze and sun are enough to make you want to move down permanently. 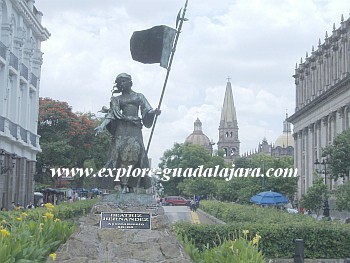 So if that grouchy, abominable snowman or woman in you is starting to come out then imagine yourself exploring Guadalajara. 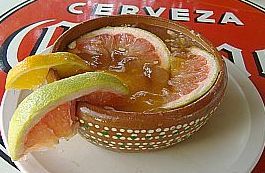 Repeat after me, There's a delicious and fruity cazuela waiting for me in Guadalajara. If you want to escape the cold winter months from wherever you happen to be from then spend your winter in Mexico (Guadalajara, Mexico that is! ).